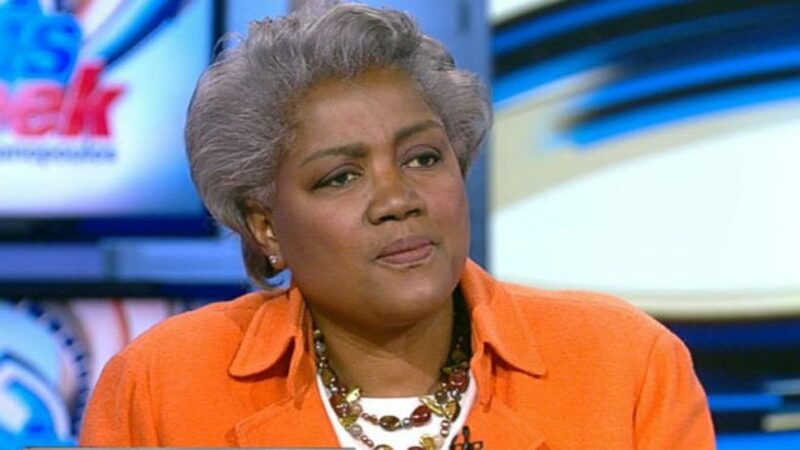 CNN commentator and Democratic National Committee Chair Donna Brazile was fired by CNN after Wikileaks revealed she was giving Hillary Clinton questions ahead of time to give her an edge in the election. Of the many scandals uncovered in the WikiLeaks dumps, don’t neglect the outing of various media figures — not only as biased, but underhanded and just plain lazy. The latest leaks show reporters from several major outlets secretly colluding with the Clinton campaign team. And that follows the fall of CNN contributor Donna Brazile, exposed as having leaked questions to Team Hillary in advance of at least two debates with Bernie Sanders. The network has fired Brazile, but still hasn’t explained how and why she had access to those questions in the first place. Now come emails showing that CNBC’s John Harwood and others asked Clinton campaign chief John Podesta and the Democratic National Committee for pointed questions to ask Republicans Jeb Bush and Ted Cruz. The only network to comment on that was CNN, which says it routinely asks each party for questions about the other side. If true, that only suggests that the network’s laziness is bipartisan. Isn’t coming up with questions what reporters are paid to do? But no one looks lazier than the Washington Post’s Dana Milbank — who apparently asked the DNC to do all the research for an anti-Trump column. The DNC asked its staff to provide a list of the “top 10 worst Trump quotes” because “Milbank [was] doing a Passover-themed 10 worst plagues of Trump.” Eight of the plagues in his final column matched the DNC’s suggestions. The bias isn’t news to voters — in fact, it’s the only thing they seem to agree on: A USA Today poll last week found 75 percent think the news media are pro-Clinton; only 7 percent said pro-Trump. 1. The Post editors give several examples of media members acting in a biased manner. What types of bias does the media display in these examples? Ask a parent: do you think the news media have been pro-Clinton? Please explain your answer.